In late summer to early fall, many of America’s forests are subject to wildfire activity. In this year alone, hundreds of thousands of acres of land in California have been scorched by wildfires, caused by a combination of drought, dry wind, and extremely high temperatures. As dangerous fires sweep across the West, general aviation pilots must take extra precautions during wildfire season. Here are a few tips for safe flying when the fire risk is high. It’s always a good idea to call the Flight Service Station before taking off to check for temporary flight restrictions (TFRs) along your route. During fire season, it’s particularly important to get the most up-to-date information, as new TFRs may pop up at any moment. 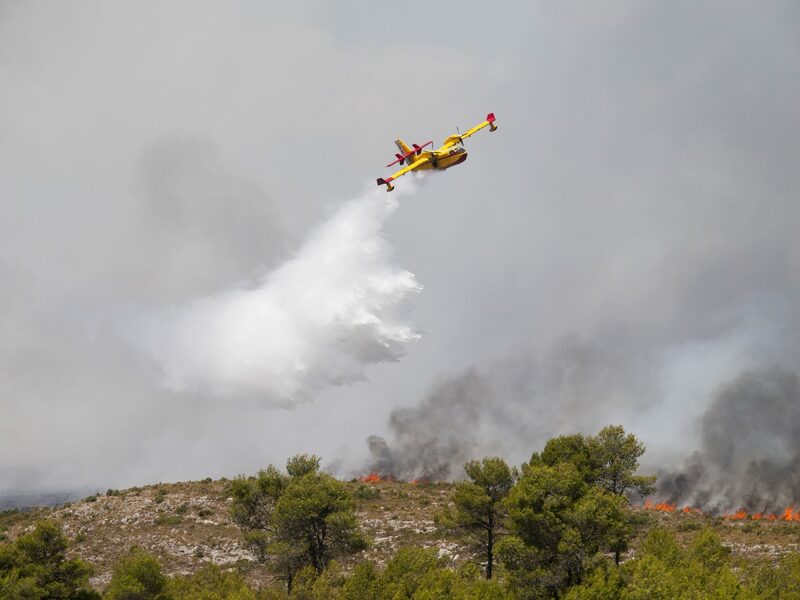 Many high-risk areas utilize helicopters, airplanes, and even drones to fight wildfires by delivering water or fire retardant, or by monitoring the fire from above. While in flight, call local FBOs for updates and use GPS or your iPad to check for TFRs. From the air, it’s possible you’ll see signs of a fire that hasn’t yet been reported. If you do notice a potential fire from your vantage point, alert ATC or the nearest Flight Service Station and report what you see. Sharing information as soon as possible helps firefighters contain the fire and can prevent the blaze from spreading further. It should go without saying, but if you notice signs of smoke or fire while in the air, keep out of the way for your safety and the safety of others. Fire moves fast and can produce heavy smoke that severely limits visibility. Large wildfires can also impact the weather by causing turbulence, strong winds, or even thunderstorms. Always give aerial firefighters the airspace needed to complete their missions safely by staying outside of TFR borders. The FAA also warns that flying drones near wildfires is not only highly dangerous but highly illegal. “Unauthorized drone flights create collision hazards to firefighting aircraft and can distract pilots who are operating in stressful and challenging conditions,” states a memo from the FAA. If you see someone operating an unauthorized drone over or near a wildfire, contact local law enforcement right away. The Western region of the United States offers scenic backcountry flying unlike anywhere else. However, due to the increasing number of wildfires across this part of the country, flying seasons may be cut short in certain areas. Be aware of the potential risks of flying during fire season and always keep an eye out for signs of a fire to avoid getting caught in a dangerous situation.